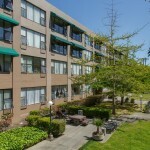 A cornerstone of Urban Pacific Properties is its Property Management Division. Our property management portfolio includes Affordable and Market-Rate housing, Commercial, Mixed-Use properties, Homeowners Associations, Hotels, and a Continuing Care Retirement Community. Urban Pacific Properties manages by caring for our buildings, our residents, and our staff, and by meeting the needs of our clients. Our staff is specially trained to adapt to the diverse and evolving requirements of our properties, with special emphasis on service, respect, and concern for the client. We consistently exceed the expectations of our owners and our residents. Appreciating that communities grow and change, Urban Pacific Properties Management proactively devises strategies that preserve and maintain value as well as offering our clients growth and support. 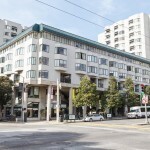 With more than twenty-five years experience managing a broad assortment of commercial, residential, and mixed-use properties, Urban Pacific Properties’ Management Division has clearly earned its reputation as one of the highest-quality property management companies in the Bay Area. 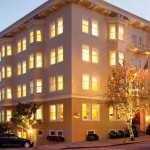 A 48-room luxury boutique hotel renovated from a historic 1903 building located in Pacific Heights. 132 federally subsidized low-income apartments designed for seniors, families and people with disabilities. 88,000 square feet of commercial retail and office space with a two level, 600-space subterranean parking facility on the premises. 230 federally subsidized low-income apartments designed for seniors, families and people with disabilities.